October 2019—The Widows is the October 2019 pick for Pulpwood Queens Girlfriend Book Club! June 2018—Jess will be sending gifts to those who pre-order the book! Those who pre-order will be entered into a cool contest! February 2018—Bound copies of The Widows take flight to other authors for possible blurbs! 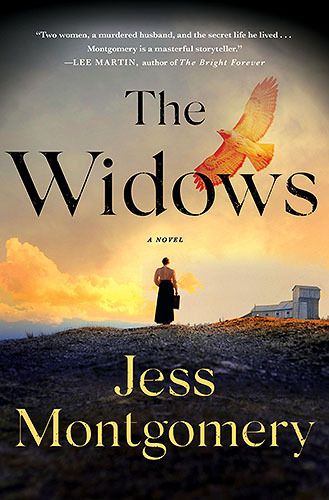 December 2017—Jess was awarded an Artist Opportunity Grant, funded by the Montgomery County (Ohio) Arts & Cultural District (MCACD), for development of a website and blog to include pieces on the historical background of the novel, The Widows. June 2017—Jess Montgomery’s first two of the Kinship historical mystery series sold to Minotaur Books, editor Catherine Richards, by literary agent Elisabeth Weed of The Book Group.